Will Following Christ Spare Us From Suffering? 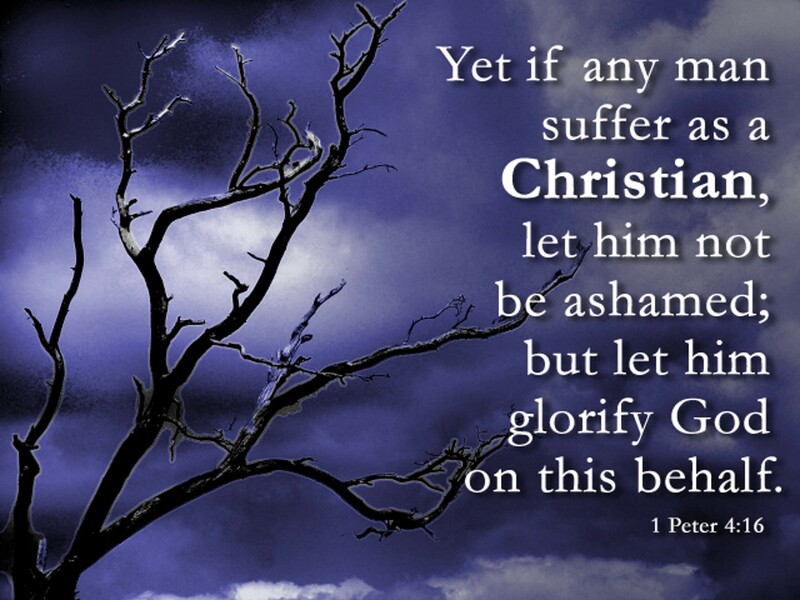 Will Following Christ Spare Us From Suffering? There is a growing tendency in certain Church circles—both Protestant and Catholic—to over-emphasize our feelings. Our faith is true regardless of how we feel in a given situation. If we reduce everything to our feelings, we very often become indifferent to actual truth and begin to worship ourselves instead of God. Being Catholic is demanding. It requires our whole selves, not a small section of ourselves that we carve out for Christ. In relying on our senses, we become overly concerned with how we feel in our prayer lives, at Mass, or in working with other people. We may abandon believing in Church doctrine—such as Purgatory—in place of the heresy of morally-therapeutic Deism. We may begin to think we have only to be a “good” person. As Catholics, we believe in concrete and objective truths that are grounded in the very person of Jesus Christ, the Son of God made man—professed in the Nicene Creed. Why should we think that our lives will be any different from Our Savior’s, who gave His life for us all. The Resurrection does not happen before the Cross. Any cursory reading of Scripture will quickly dispel a sentimental understanding of the Christian life. During the Sermon on the Mount, Christ makes the Christian life very plain. He explains what we must do to gain everlasting life and find true happiness in this life and in the next. The Beatitudes are incredibly difficult, counterintuitive, and pragmatic. They are raw, gritty, and every single one of us fails to live up to them on a daily basis. If we turn the Beatitudes into something sentimental, or worse, an impossible ideal, then we’ve missed out on Christ’s call for each one of us. It is through the Beatitudes that Christ upsets the world order and teaches us something radically different. The Beatitudes do not always make us feel good. They demand too much to be reduced to feeling warm and fuzzy inside. We are blessed in periods of trial and suffering because it is then that God draws us closer to Himself. 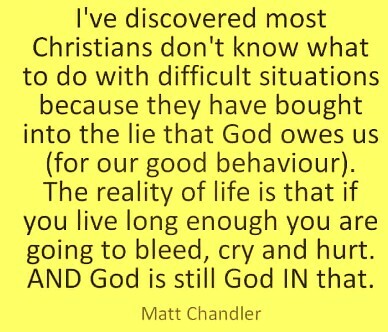 It is through suffering that we learn to become entirely dependent on God. It can be easy to ignore the Cross in favor of a sole emphasis on the Resurrection, but this is not Catholic understanding. Our churches have—or at least should have—a crucifix on prominent display. It is the Cross that paves the way to the Resurrection. Without the Cross, we would still be lost in sin and death. We are called to lay down everything for God and others. We are called to give our very selves, our totality of self, to God. We cannot hold anything back, even if it means martyrdom. The Cross’s call to each one of us destroys any temptation to over-sentimentalize the Faith. Instead He says to you and to me, “Whoever wishes to come after me must deny himself, take up his cross, and follow me. For whoever wishes to save his life will lose it, but whoever loses his life for my sake and that of the Gospel will save it (Mark 8:34-36). The Cross is the only way to eternal life and if we reduce our faith to sentimentality and feelings, we will miss the mark. We cannot progress in holiness without living the Cross. leave the fullness of faith and the Real Presence in the Eucharist for the mega-church down the street. If, however, we understand that Mass is not about us but is about giving glory to God, then we will be able to more fully participate in the Mass and receive the graces that flow from that participation. There is nothing greater that can be offered to us on this side of eternity than the Body, Blood, Soul, and Divinity of Our Savior, given to us in the Eucharist. Watch the priest’s actions closely during the Mass. Every movement and word brings us into a deeper reality. Focus on Christ during Mass, not feelings and emotions. The reduction of our Faith to sentimentality leads quickly to indifference and irrelevance. Our faith is not sentimental, but is grounded in the Cross of Our Savior who endured torture and death to set us free. We are called to pick up our own Cross in order to follow God. Most of the time we do not feel “good” as we continue to persevere by God’s grace. Instead, we keep our eyes firmly fixed on Christ and ask Him to help us to bear our Crosses well so that we may enter into the deep realities of God.